I love how the gilt gold frame contrasts with the shabby chic chicken wire, simple wooden desk, industrial chair, and modern desk lamp. 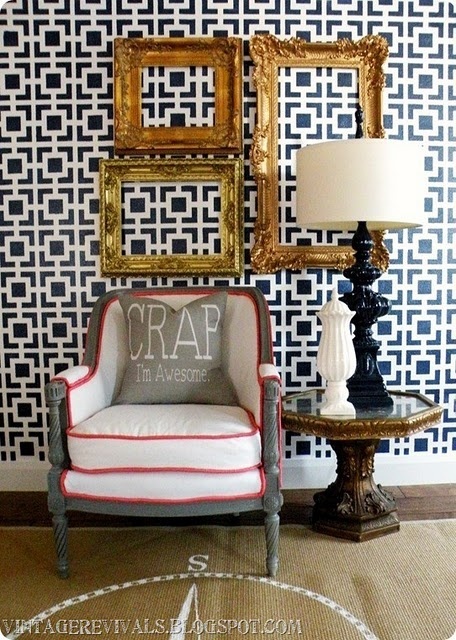 So many styles brought together equals eclectic happiness. Thick golden frames compete for attention with the graphic wallpaper and the result is stunning. I love the mix of antique and modern here. 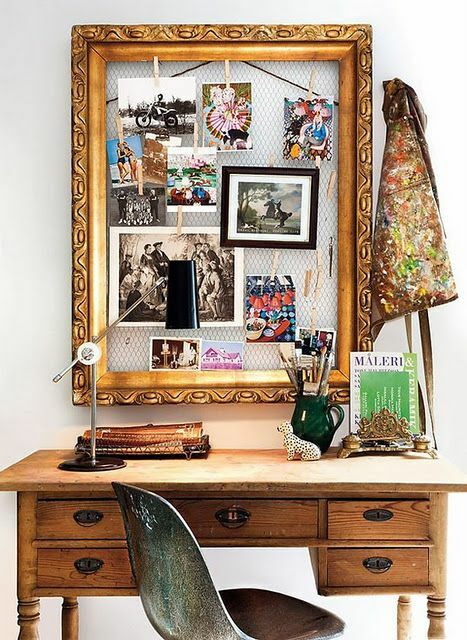 A big, gold framed mirror is at the top of my want list. 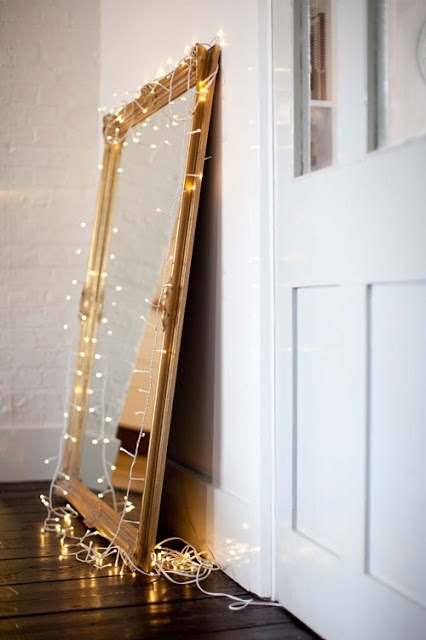 Strewn with string lights, this one is so pretty. 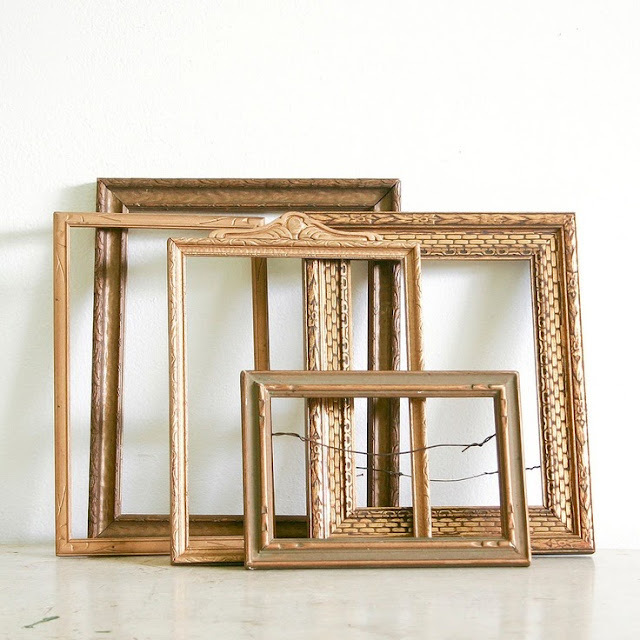 Framing photographs, silhouettes, patterns, and other prints in small gilt frames turns ordinary images into a posh art gallery. I would love to fill my bedroom wall with something like this. 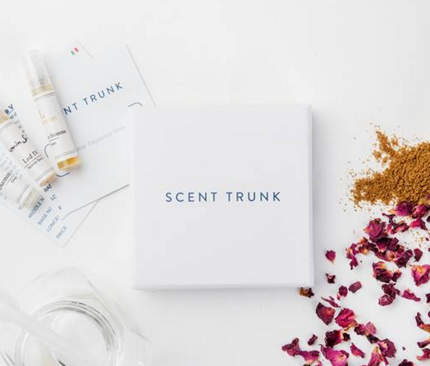 This is right on par with what I want to do over my writing desk in my bedroom. 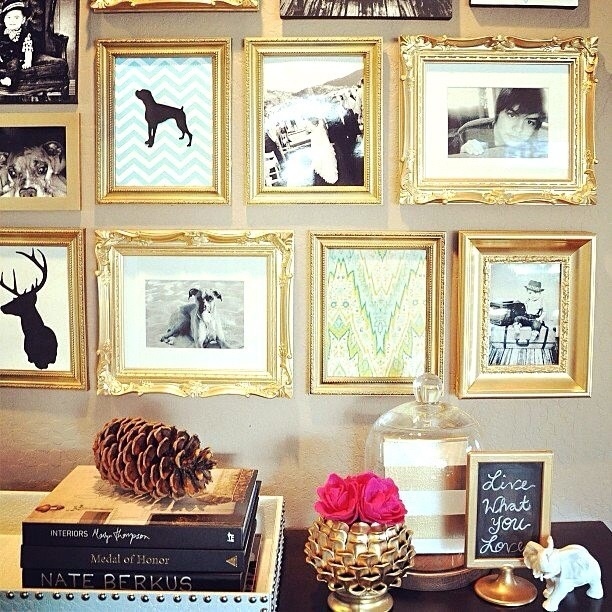 A big gold frame around pretty patterned wallpaper. 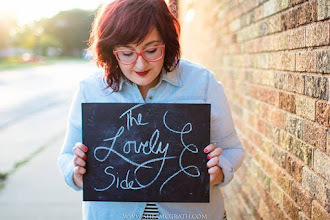 What a lovely inspiration board! 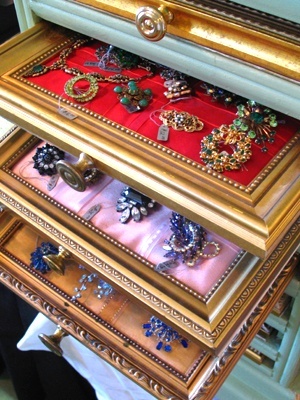 Lastly, I love this idea for storing jewelry on tray drawers made from gold frames. So pretty. 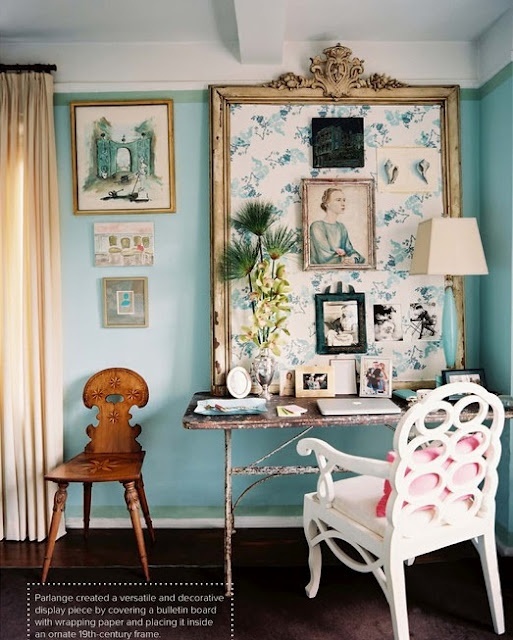 Meanwhile, what little decorating quirk has stuck with your style throughout your life and various living spaces?